Cormac is part of the trio behind the phenomenon that is WetYourSelf at fabric, and the newly-formed WYS! Recordings. 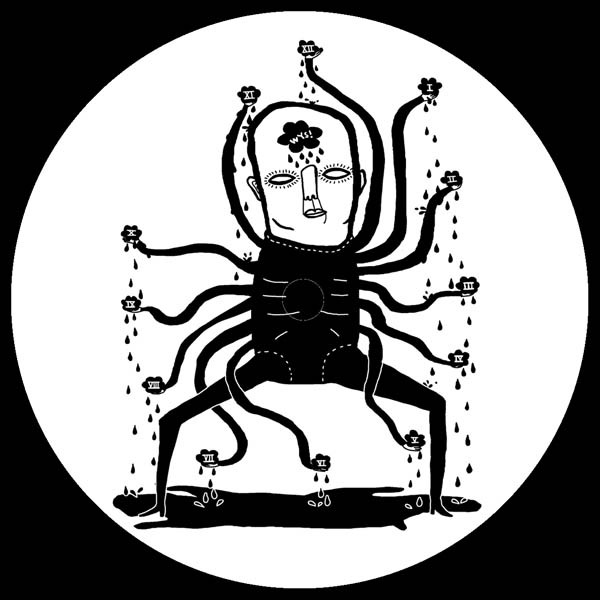 His debut release on the label sees him explore the tougher, more techno side of WYS!, taking inspiration from the mammoth Bank Holiday Room 2 sets from the likes of Marcel Dettman and Ben Klock. With its icy vocal, Cold has a firm foot in fabric's room 2 and captures the tough drive of techno from Cormac's past. Miss Kittin has shaped and changed the sound of dance music culture since her debut with the Hacker back in 2001. She is a true original , technically gifted and consistently remains on top of her game.Using old school claps and kicks she transports the tune into her world of midnight rave. Chris Liebing is notable for many reasons. He has risen to the leagues of techno royalty and maintained his position there with his quality CLR label and unique techno sound. Here he runs with the theme of the title track and creates a stone-cold peak-time killer which is unmistakably and fantastically Liebing in every sense. Included on the vinyl release is a vinyl only track, Invert . Invert was made in unison with Cold, coexisting and fully reflecting each other.